Vintage radial ornament in the square. 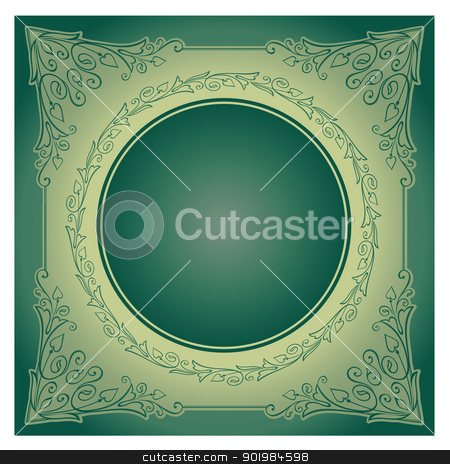 Vector illustration of vintage ornament over green background. Colourized of green. Vector illustration.